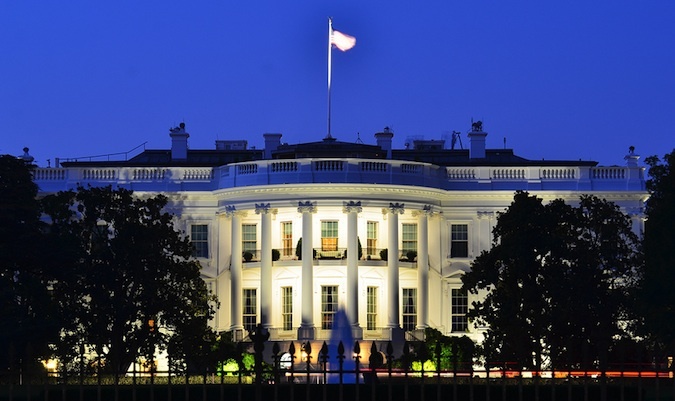 The White House last week announced the release of the 2018 National Cyber Strategy, which outlines the government’s plans for ensuring the security of cyberspace. Described by officials as the “first fully articulated cyber strategy in 15 years," the new strategy describes how the current administration plans on protecting the country against cyber threats and strengthening the United States’ cyber capabilities. The strategy shows that the U.S. is prepared to take a more aggressive posture, which includes an offensive response against nations engaging in cyber activity aimed at the country. Officials warned that the government’s response to a cyberattack may not necessarily be in the cyber world. Industry professionals contacted by SecurityWeek commented on various aspects of the new strategy, pointing out its benefits, shortcomings, and the unanswered questions it raises. “Most government strategy documents tend to be underwhelming and this one is no different. This isn't a whole lot of new content or ideas, but rather amplification, clarification, and renewal of previous ones. The paragraph that stands out to me is the one on the Cyber Deterrence Initiative. Until now we haven't formally adopted an international approach to deterrence, which includes collaborating on incident response and attribution. This Initiative has enormous potential to be successful if the right nations formally participate and equally contribute to its cause. I would expect to see the Five Eyes join in but it should extend even further, beginning with NATO member-states. Another one that stands out to me and is much overdue is modernizing of surveillance and computer crime laws. The Computer Fraud and Abuse Act (CFAA) in particular is in desperate need of a refresh. On critical infrastructure, it's encouraging to see it featured so prominently in the Strategy but the substance is a bit lacking. More creativity is needed for government to maximize its contributions to what is largely a private sector problem. Some of the best ways for government to "secure critical infrastructure" is to incentive investment in technology, people, and training; share actionable threat intelligence; and deter activities that hold infrastructure assets (and the citizens they serve) at risk. Again, some of these are mentioned but not in great detail. Would've like to see a bit more emphasis on state and local cybersecurity and a key component of the national strategy. They punted on encryption -- would've like to see them take a strong stance on encryption while committing to foster a dialogue between the public and private sector recognizing the real concerns of law enforcement and the national security establishment. “Politicizing matters of cybersecurity only serves as a detriment to us all. Nearly every human on this planet is served in some way, shape or form by technology and the various forms of communication and information delivery, and taking security seriously and promoting it consistently is critical to safeguard the access to information for all of us going forward. However, this Cyber Security Strategy document released by the White House does not do much of anything to serve this purpose on its own account, and even more so when viewed alongside with other security-related matters that this administration has weighed in on. For example, Pillar IV of the White House's plan states that "The United States stands firm on its principles to protect and promote and open, interoperable, reliable and secure internet." Yet, this comes from the same administration whose FCC has killed Net Neutrality and arguably has laid the groundwork for the exact opposite thing taking place. Pillar III discusses addressing the interference of foreign powers executing propaganda and other counter-intelligence campaigns against the United States, yet we've witnessed repeated efforts from this administration to stop efforts to do exactly that in several situations, including the influencing of voters during the last major election cycle. Ultimately, this strategy document strikes me as nothing more than hyperbole, or as a distraction from the contrary actions this administration has already taken that nullify most of the principles outlined here. “The Strategy is a policy vehicle. The key concern is once the strategy has been fully executed, it must drive acquisition in a timely fashion to be effective. What funding vehicle will support implementing the actual cyber tools necessary to deliver on the policy changes? Who will drive the acquisitions? Will they be consolidated under a single OSD mandate and funding action, coalescing all funding to a single activity or will OSD mandate the changes, leaving the services to both fund and implement? If the later, how will the mandate compete with other necessary funding efforts, considering the sheer volume of legacy infrastructure in place today under sustainment? Are there technologies that have been vetted of recent that have proven to deliver vastly new capabilities that satisfy both defensive protection-first while delivering the threat telemetry needed to take offensive action based on clear attribution? The DoD has been unsuccessful to implement clear and agile acquisition changes despite the many years as a stated goal. “This is the most comprehensive cybersecurity strategy document ever published—firmly stating a vision of the United States as ensuring a secure Internet by cooperation or force. It reads like a response to former NSA Director Admiral Mike Rogers’ February Congressional testimony where he acknowledged current constraints in responding to the active threat landscape the US faces. “While the new Trump administration cyber policy is not a major deviation from President Obama's initiative in 2016, the focus now is on enabling agencies – specifically the Defense Department - to respond more quickly to cyber threats. Under the Obama cyber policy, various defense and intelligence agencies were required to coordinate offensive cyber operations to ensure they had no impact on government operations. The Trump policy allows organizations to respond without cross-agency coordination. Organizations who want (or have) to follow this directive need to be able to accurately determine where they stand relative the sobjectives described in this document. Then, for each sub-objective within this directive, they have to prioritize the gaps between where they are and where they need to be — and prioritization is invariably a function of measurement (risk measurement in this case). Then they have to compare the various options for closing any gaps (the most important gaps first, of course) to ensure that the most cost-effective remediations are chosen. These comparisons also are dependent on accurate risk measurement. As these efforts get underway, cybersecurity organizations need to be able to adjust intelligently to changes in the landscape that might alter priorities or solutions. This, too, requires risk measurement. “The new Strategy appropriately builds on the work of past Administrations. Particularly when read in conjunction with the DOD Cyber Strategy also released this week, the National Cyber Strategy also recognizes that going on offense is becoming more critical to playing daily cyber defense. The Strategy has a few notable points as to protecting critical infrastructure. First, the Strategy emphasizes leveraging information and communications technology providers to detect, prevent and mitigate risk at the system level. Second, it prioritizes improved cybersecurity in the transportation industry, particularly maritime transportation. This is particularly noteworthy in light of last year’s NotPetya cyberattack, which significantly affected such transportation companies as Maersk and Federal Express. Third, the Strategy falls short in addressing election cybersecurity by throwing up state and local election control as a seemingly insurmountable obstacle.